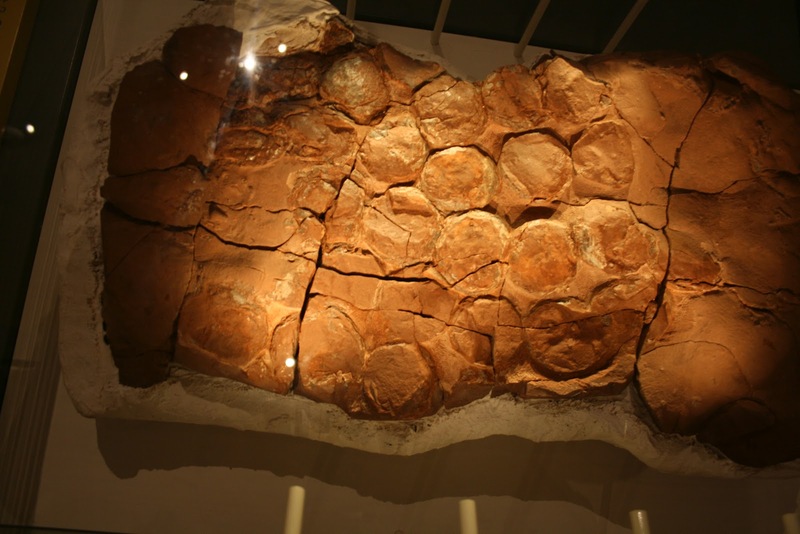 The ROM has another temporary dinosaur exhibit on display right now, Dinosaur Eggs & Babies: Remarkable Fossils from South Africa. 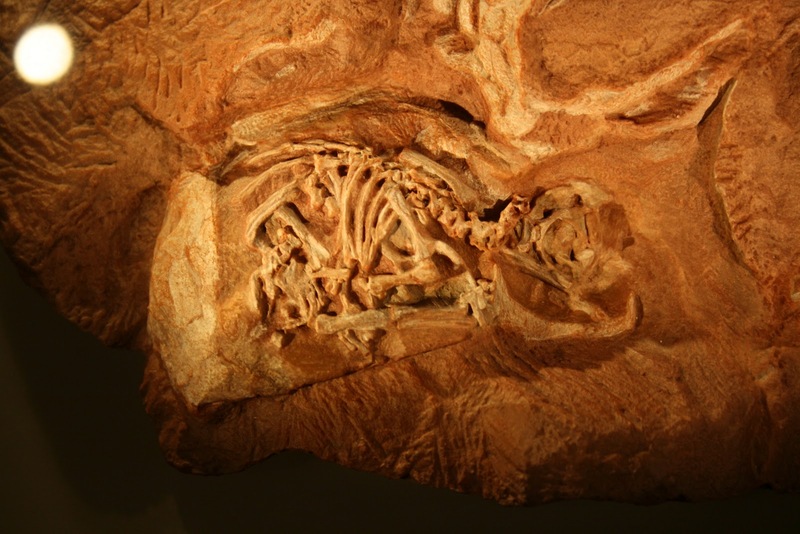 It showcases nests and embryos of the prosauropod dinosaur Massospondylus, which were described by ROM and University of Toronto scientists in 2005 (with a subsequent paper in 2010). The nests were found in Golden Gate National Park, South Africa. Preparation of the eggs revealed wonderfully preserved embryos! In addition to the nests, eggs, and embryos, there is a nice set of cast skulls showing growth changes in Massospondylus, and a very cute sculpture of a hatchling. 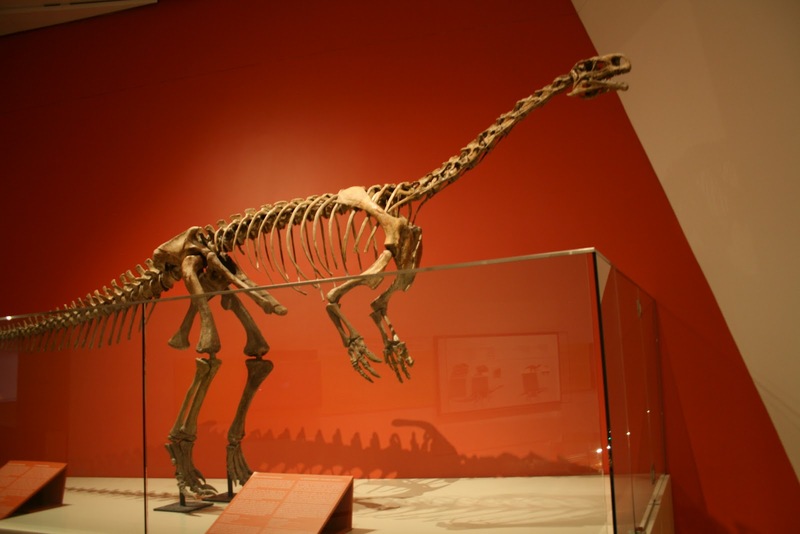 There’s a nice mount of the related prosauropod Plateosaurus (shown here in correct bipedal posture!). 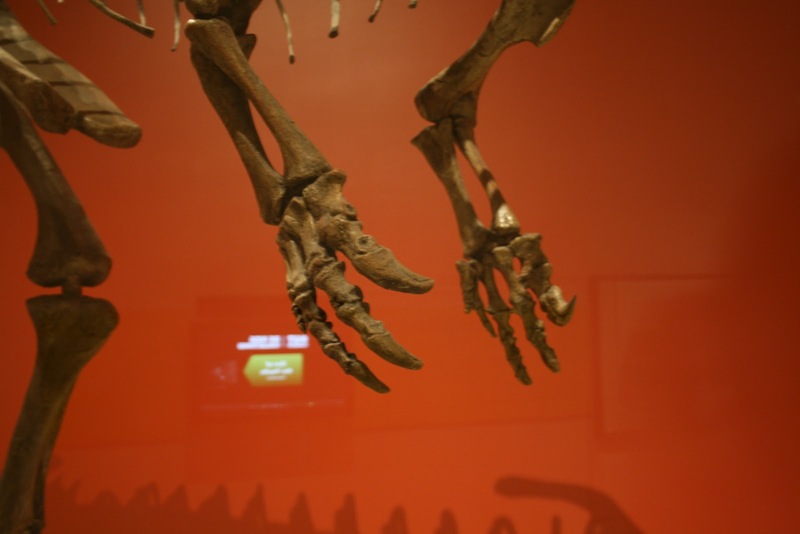 I’ve always loved prosauropod hands. Check out that thumb claw! It’s always fun to add new dinosaurs to my list of stuff I’ve seen – here is the snout of a juvenile Dracovenator, a Dilophosaurus-like theropod that lived alongside Massospondylus. 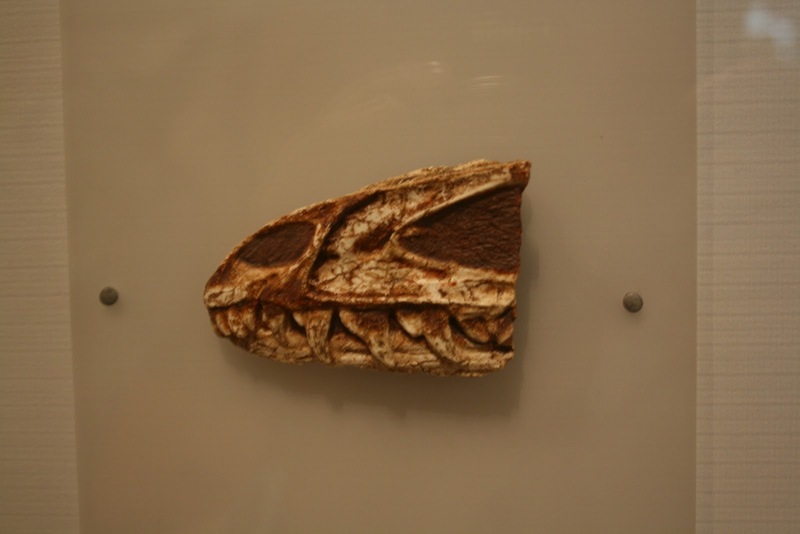 The exhibit also has some adult skull fragments, and a panel-mounted Dilophosaurus skeleton. I’m not sure how long this exhibit is on display, but it’s well worth checking out if you’re visiting the ROM for Ultimate Dinosaurs. It’s located between the Jurassic and Cretaceous galleries. Yay! RCI did that Plateosaurus, if I am not completely mistaken. Excellent work! Can you please post more photos of it?